February 23, 2006 The 50 foot crab fishing vessel Northern Dawn disappeared west of Dutch Harbor with two crewmen aboard; Scott Trible and Frank Richard. March 1, 2006 Anury Reutov from the Concord was lost after falling off the C-Float in Saint Paul Harbor, Kodiak. March 10, 2006 The 32 foot troller Slayer was lost near Point Gardner along with her two crewmen Rick Nebert (42) and Matt Moore (18). 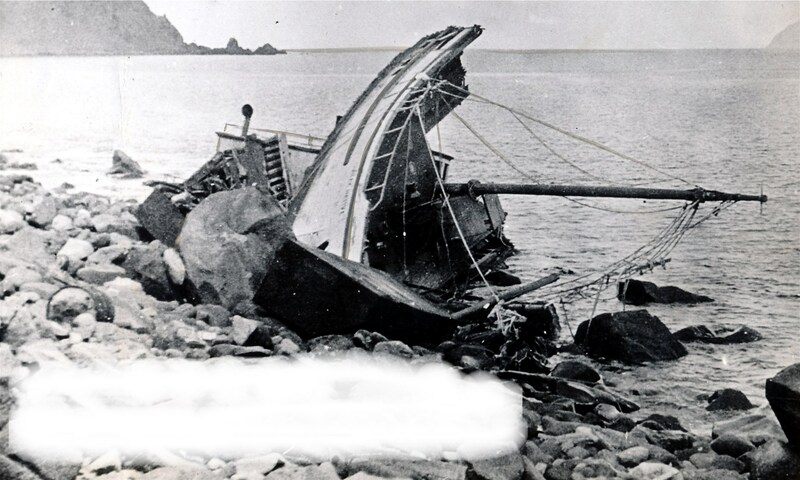 May 7, 2006 Norman Fain was lost when the 32 foot cod fishing vessel Calico Dog (Lady Alliene) capsized near Priest Rock on the way into Unalaska Bay. July 23, 2006 Tom Grismen from the Kodiak based research vessel Heritage was lost when a work skiff overturned off of Saint Matthew Island. Three others made it to shore. August 10, 2006 Tom Pope died aboard the 35 foot longline fishing vessel Chariot near Kodiak. August 20, 2006 Richard Septien was lost when the vessel Bodysnatcher caught fire and overturned at Copper River Flats. September 4, 2006 Captain Mike Price was lost from the sailing vessel Vega off of Kruzof Island during a storm. October 18, 2006 The 50 foot fishing vessel Ocean Challenger overturned in high seas 60 miles southwest of Sand Point. Weather at the time was reported at 50 Kt winds and 30 foot seas. Lost were captain David “Cowboy” Hasselquist (51) of Hoonah, Walter Foster (26) of Westport WA and Steve Esparza (26) of Kodiak. One crewman, Kevin Ferrill (28) of Lynchburg VA, survived. We knew Rick and The Slayer thru our dear friend Jamie Coby, who was himself lost on March 28, 2002 from the Dustin C and is listed in your book. In all of my 30,000 blue water miles in the North Atlantic, Caribbean, Central, South & North Pacific, the people we have known who we’re lost mostly in Alaskan waters and it seems every year there’s another name we recognize. This place is spectacular and beautiful. it has called us back to stay and yet it is so unforgiving. It swallows up so many good people. It has nearly claimed me on more than one occasion and its been but mere luck that kept my name and those with me from these pages. . I need to purchase this book. Thanks for putting it together. It is a profound piece.